WHY IT RATES: Travel agents working for clients who love movies should consider booking them on Southwest flights so they can enjoy free films.—Donald Wood, Breaking News Senior Writer. 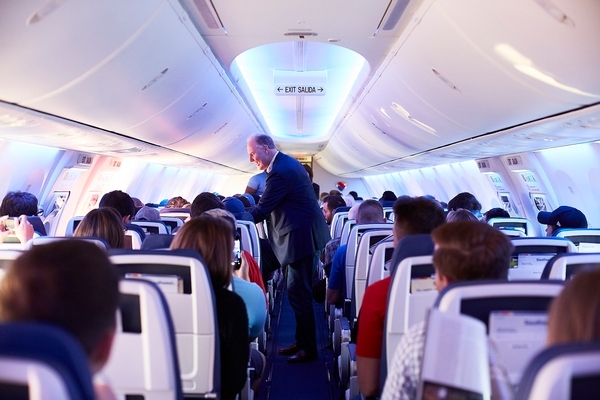 Southwest Airlines Co. continues its mission to enhance the Customer Experience. The carrier announced its switch from a paid movie product to a free movie product onboard its In-flight Entertainment Portal for a 100 percent free in-flight entertainment experience on Wi-Fi-enabled aircraft. The free movie product has begun to roll out across the Wi-Fi-enabled fleet, with plans to offer to the majority of our customers by the end of the week. Just last month, on select flights, free messaging rolled out to customers looking to stay connected with friends and family during flight, and in May, Southwest introduced its newest onboard partner, iHeartRadio, giving customers access to the digital streaming service and its vast library of music and podcasts, where available. The Inflight Entertainment Portal is offered across the Southwest fleet on Wi-Fi-enabled aircraft. Customers can access the onboard entertainment options through their own personal device (mobile, iPad, tablet, or laptop) by turning on Wi-Fi access, connecting to the “SouthwestWiFi” SSID, and navigating to www.Southwestwifi.com. It is not necessary to purchase Wi-Fi in order to use the free in-flight entertainment onboard. Customers should download the Southwest mobile app to take advantage of free movies, Live TV and TV Series content onboard. The Southwest app for iOS can be found in the App Store and for Android in the Google Play Store. Customers can stay up-to-date on Southwest’s in-flight entertainment offerings by visiting Southwest.com/WiFi. Check out which movies and TV channels are offered onboard, in addition to custom and exclusive content and TV series offered only to Southwest Customers. SOURCE: Southwest Airlines press release.